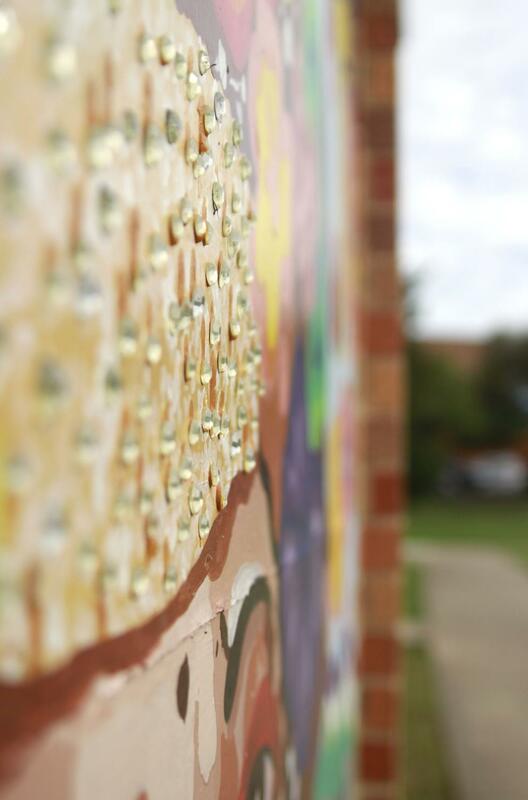 Mr. Winter's first-year photographers were challenged to show Mac as it really is. Here are some of their best shots. 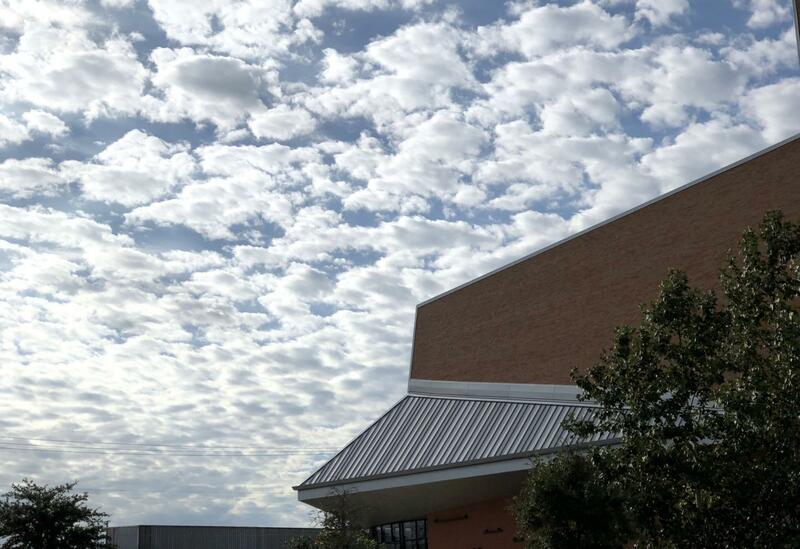 After circling the school a few times in order to find the true “essence of McCallum”, I stumbled upon many picture-worthy occurrences, both artistic and academic. What I did not immediately notice, however, was the empty courtyard soaked by the rain: the blue picnic tables, wet grass, and a mural in the background. You can tell by the lights being on in the building that students and teachers alike are hard at work inside, and the energy from within the school is definitely still present, but in the courtyard it is still and calm. I really like the shallow depth of field in this image and how it shows another side of MAC that I haven’t really paid attention to before. ISO: 1600. Shutter Speed: 1/25. F/Stop: 6.3. Focal Length: 45. The photoj classes were challenged to capture the essence of McCallum through three to five pictures. For this week’s #TuesdayTop10, we are proud to showcase 21 of our favorites from the assignment. 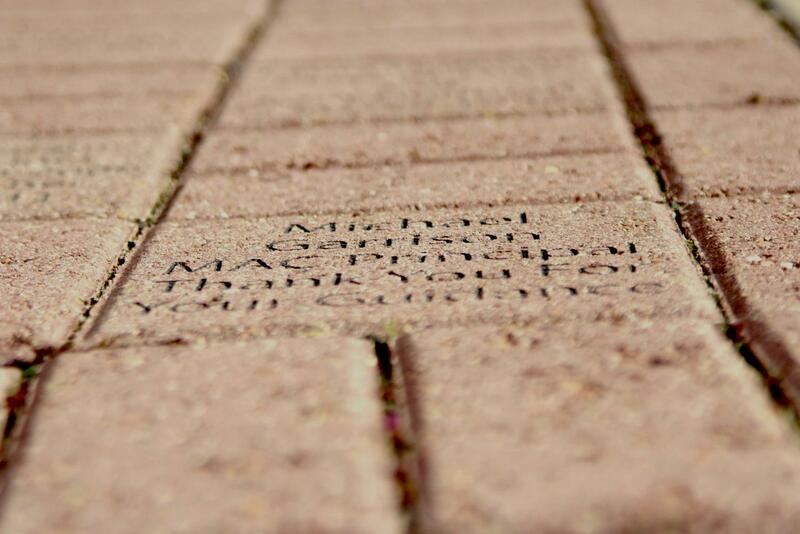 The front of McCallum represents where everyone walks through to get into McCallum. 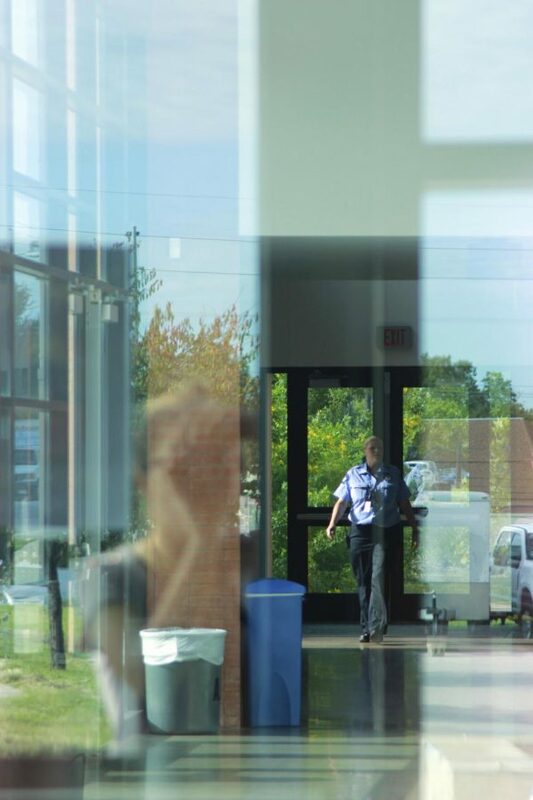 The front of our school acts a gateway to learning. I took this photo because it shows the front architecture of the school. Photo by Tristan Tugmon. 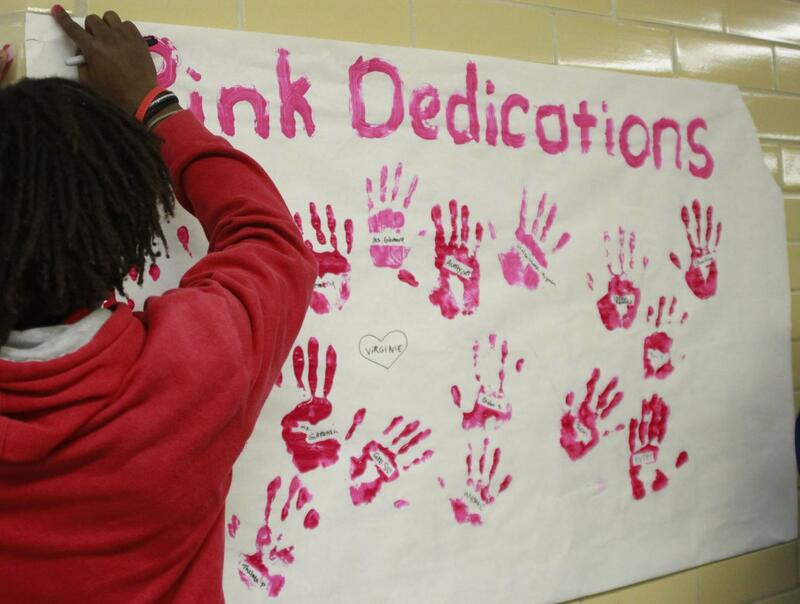 In this photo students paint their hands pink and leave handprints in dedication to raising awareness for breast cancer. This shows the community of McCallum, and the students ability to organize events to better our community. ISO: 3200. Shutter speed: 1/500. f/stop: f/4. Focal length: 28 mm. 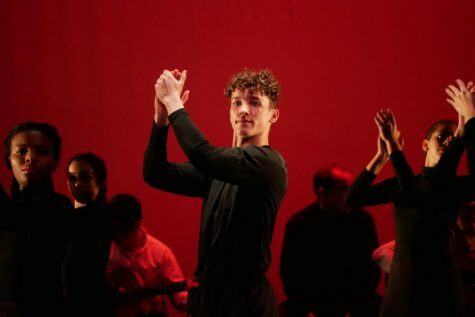 Photo by Maeve McGeady. 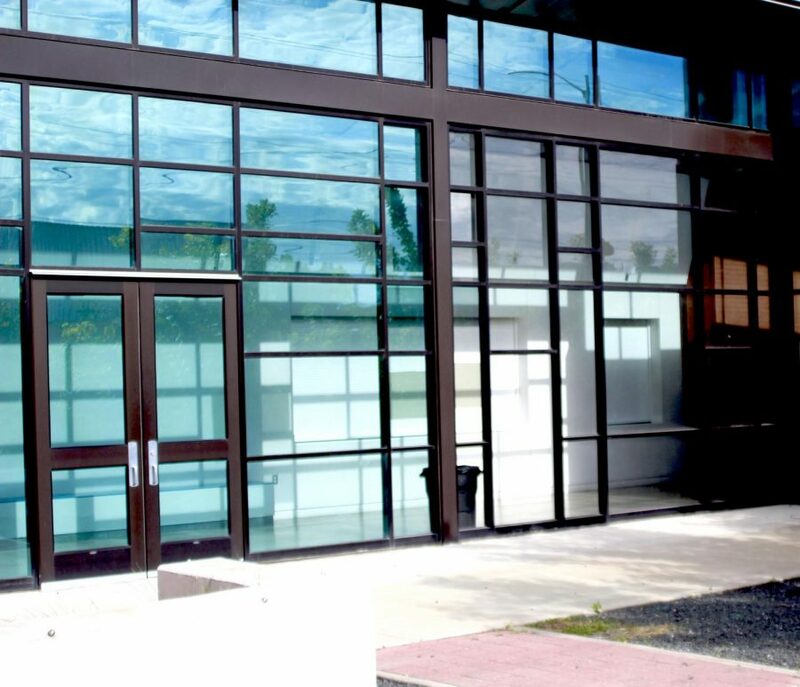 This is a picture of the Fine Arts Building. 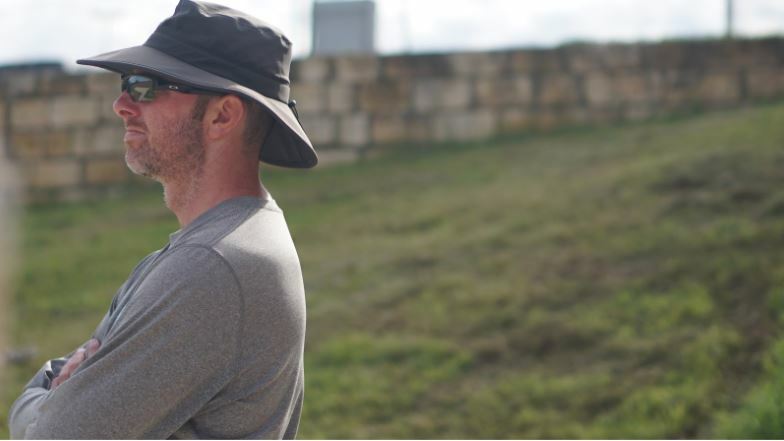 The fine arts are what makes McCallum different from a lot of schools. This is a very important part of McCallum because our school is centered around and values the fine arts. ISO: 200. F-stop: f/4. SS: 1/2500. Zoom: 28 mm. Photo by Anna Bausman. 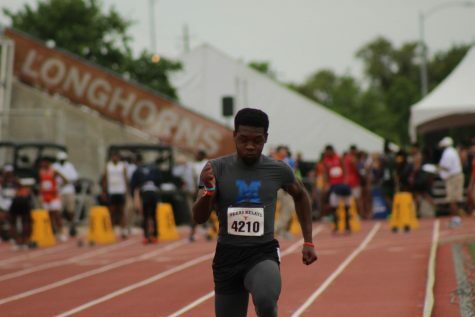 This picture represents the essence of McCallum because our principal, Michael Garrison, is a key part of our school. 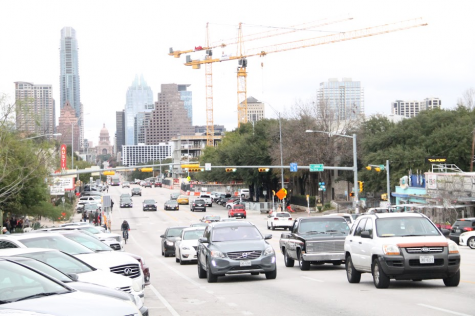 Without Mr. Garrison, McCallum would be very different. 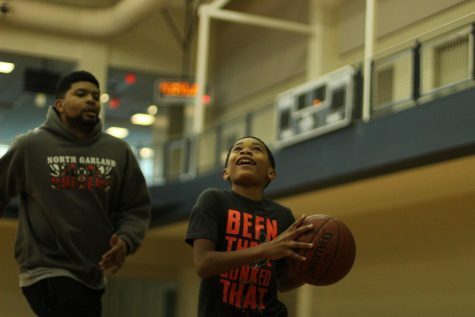 He gives us freedom to participate and create events that we are interested in. I composed this picture so that the one stone with the name on it is in focus, but the rest is blurry. SO: 800. F/stop: f/4. SS: 1/4000. Zoom: 75 mm. Photo by Anna Bausman. 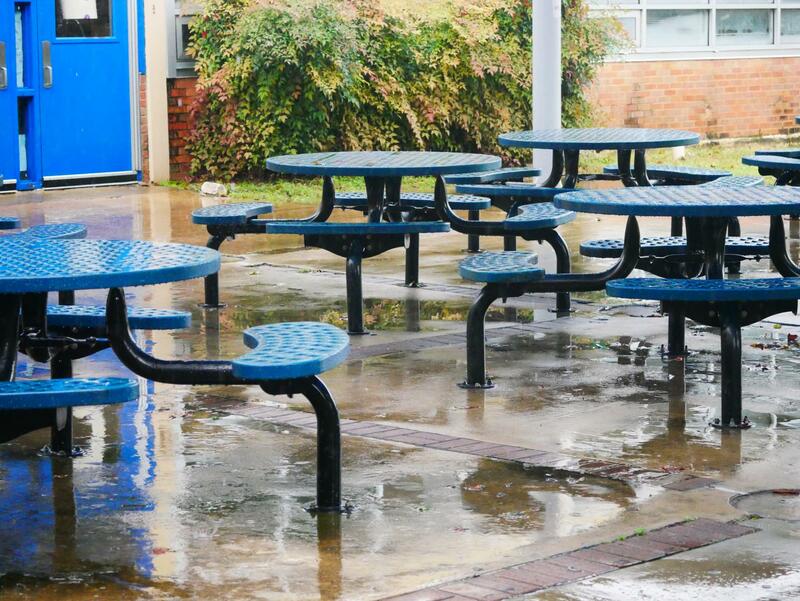 I chose to take a picture of these tables outside because students love to sit there during lunch and before school. I also thought that the rain was cool because it created interest with the reflections on the concrete. I used a wide depth of field to be able to show all of the tables and everything in the background. Panasonic DMC-GX85. f/4.2 49.0 mm 1/400 3200 Flash off (did not fire). Photo by Isabella Dietz. 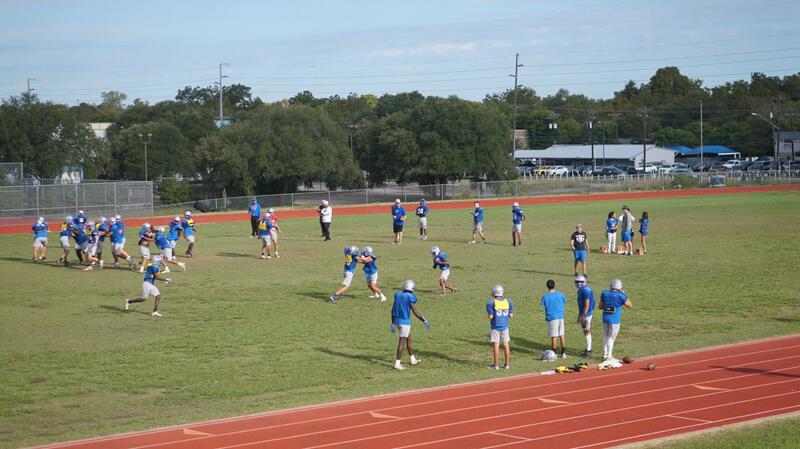 The McCallum football team practice to make sure they’re in ship shape. Taken from far away to convey how many people there are and how far they are going, it shows the athletic side of McCallum and also just some friends messing around. ISO: 250. F-Stop: 8. Shutter Speed: 1/1000. Photo by Dashel Beckett. 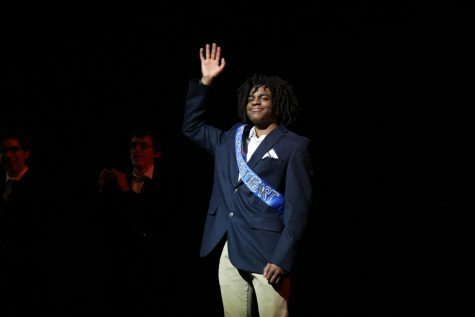 This photo is perfect for the essence of McCallum. 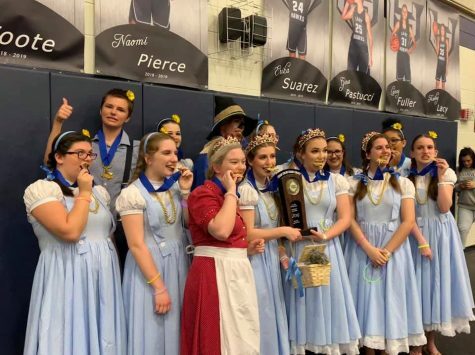 It shows school spirit and our outstanding Fine Arts program in one shot. It demonstrates amazing work ethic and gorgeous simplicity. You can almost feel how hard and how long the dancers practiced on this piece. In this photo I made sure it was all in sync so that I captured it when all the dancers jumped at the right time. I also made sure I captured the dancers climax to get her when she was fully extended. I used ƒ/1.4. 1/1000. 50mm. ISO 1600. Photo by Risa Darlington-Horta. 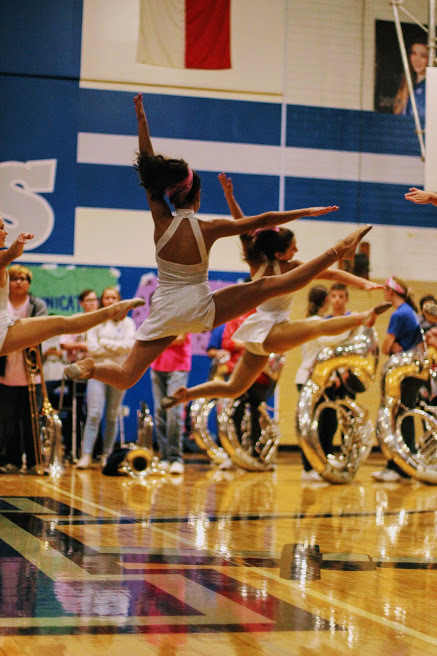 This is a photo of one of the McCallum Pink Week days. 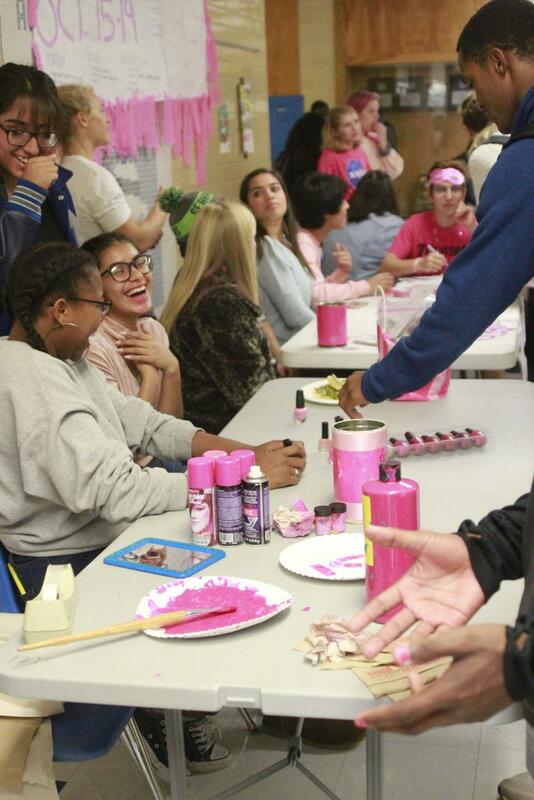 Students are getting their nails painted pink and painting posters with pink handprints. I think this shows what a great community McCallum has and how much of a voice students have to make positive change in our community. ISO: 6400. Shutter speed: 1/500. f/stop: f/4. Focal length: 32mm. Photo by Maeve McGeady. 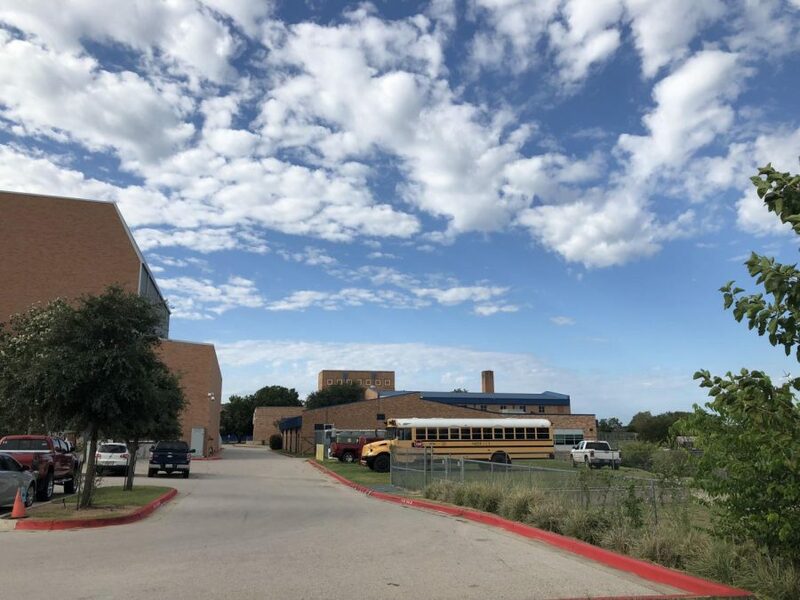 After circling the school a few times in order to find the true “essence of McCallum”, I stumbled upon many picture-worthy occurrences, both artistic and academic. What I did not immediately notice, however, was the empty courtyard soaked by the rain: the blue picnic tables, wet grass, and a mural in the background. You can tell by the lights being on in the building that students and teachers alike are hard at work inside, and the energy from within the school is definitely still present, but in the courtyard it is still and calm. I really like the shallow depth of field in this image and how it shows another side of MAC that I haven’t really paid attention to before. ISO: 1600. Shutter Speed: 1/25. F/Stop: 6.3. Focal Length: 45. Photo by Madelynn Niles. McCallum is a school very focusedon fine arts. We have great theatre,orchestra, and band departments. 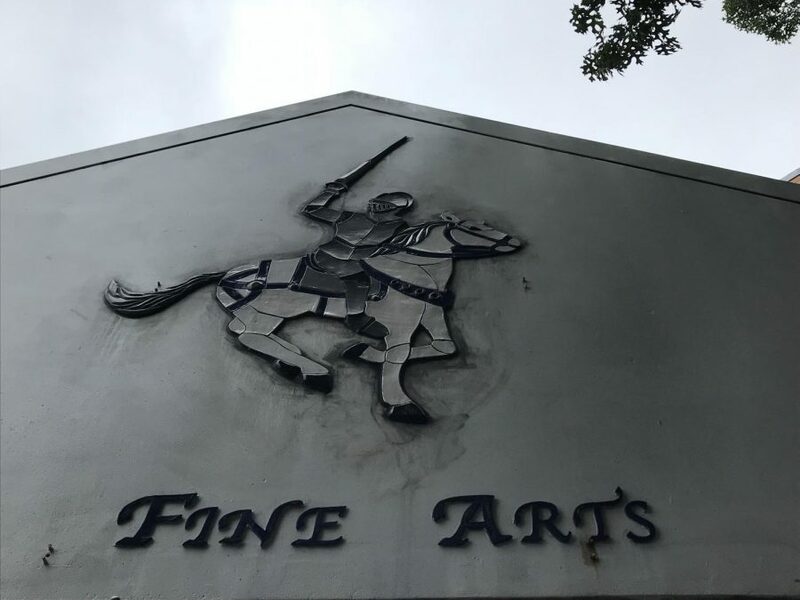 This sign shows that we’re proud to be a fine arts school. f/1.8. SS: 1/1100. Focal Length: 3.99 mm. ISO: 20. Photo by Ethan Holmes. The McCallum security guard is patrolling campus, making sure our campus remains a safe place to be. 1/320 sec. f/4 105mm ISO 200 Photo by Elly Schottman. 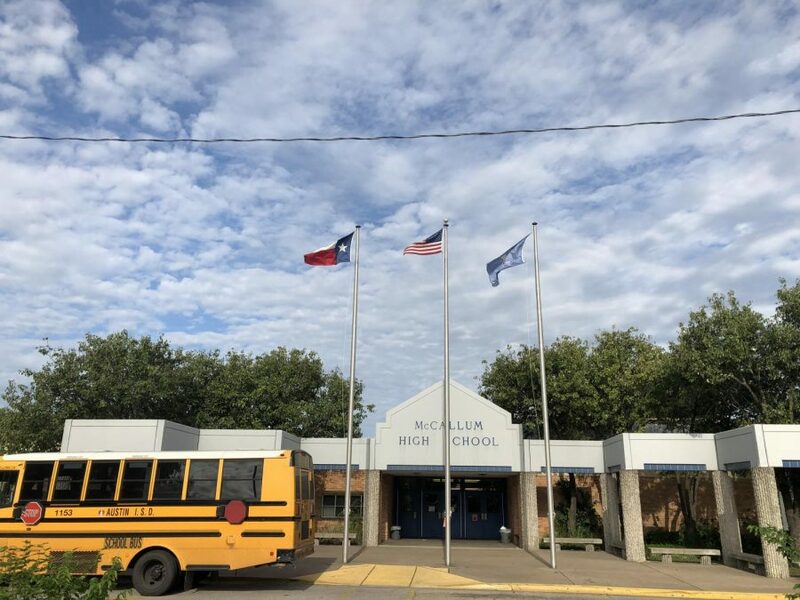 This captures the essence of Mccallum because of the fact that this hallway always “smells like booty,” says the police officer while we walked past him. 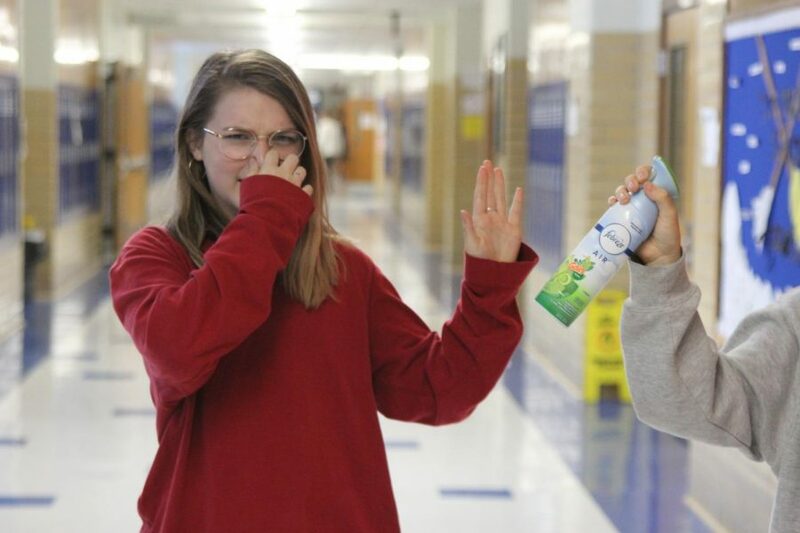 The friendly policeman gave us a bottle of Febreeze to showcase how bad it smells in this hall. He said it's been like this for years, and this hall is known for smelling like garbage. I like the expression of Maeve’s face in this photo, it captures the smell through the screen. Focal length= 68 mm. F stop= f/4. ISO 3200. Shutter Speed= 1/200. Photo by Alba Perez. 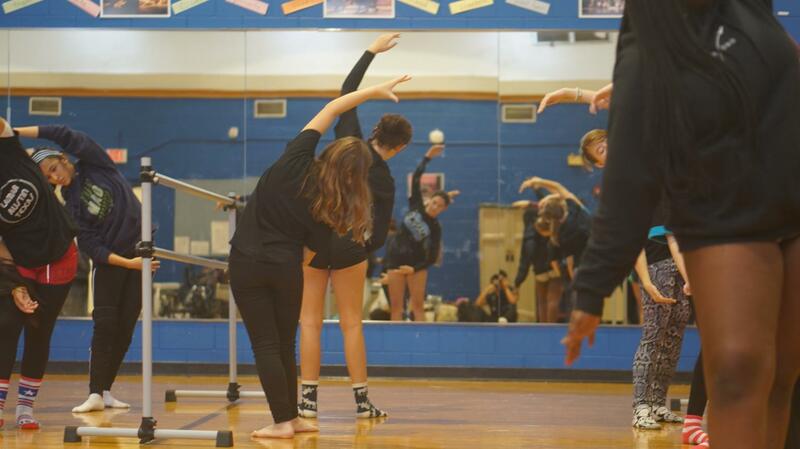 Fine arts are a very large part of McCallum. 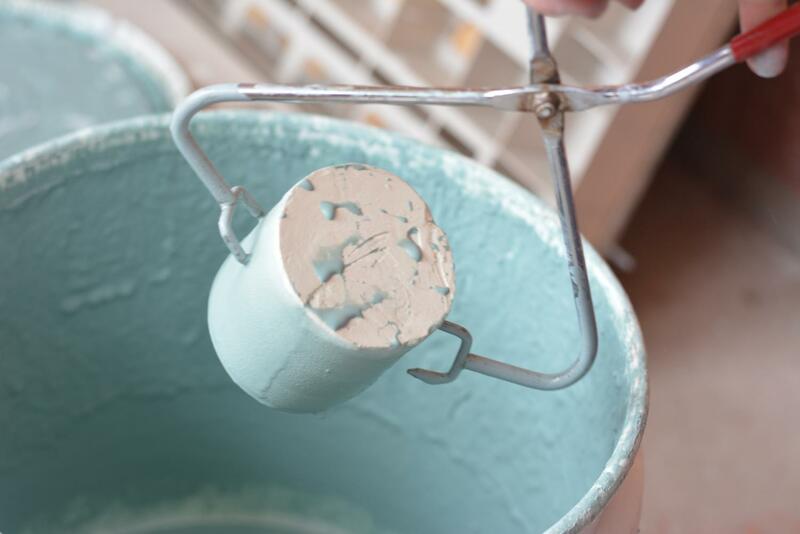 This is a photo taken in ceramics class. They had just made pottery and are now glazing it. 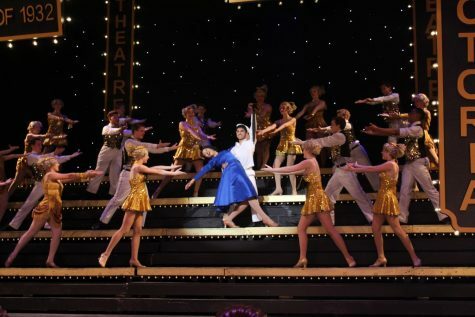 This is a nice overall representation of McCallum because its shows a fine arts class in action. ISO 450. f stop f/4. Aperture 1/60 sec. Photo by Bella Kisler. 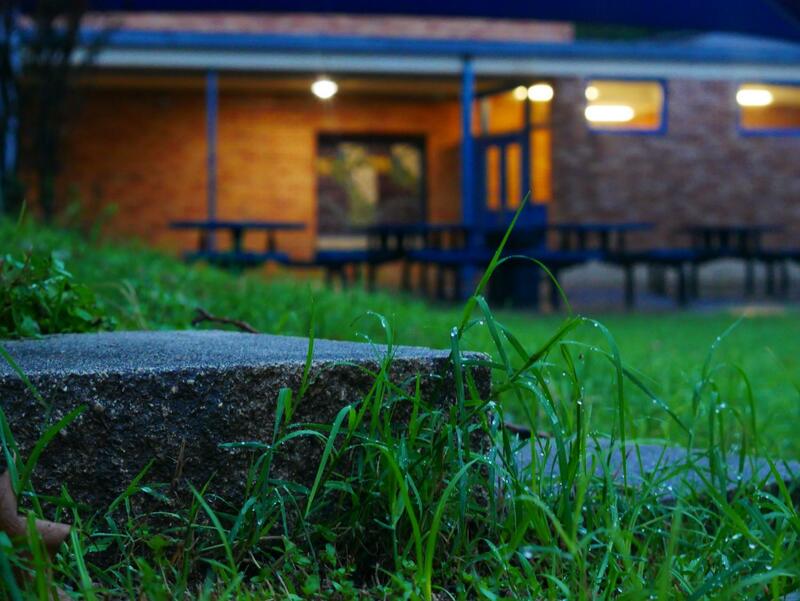 This picture represents the essence of McCallum because it shows the outside of the building. 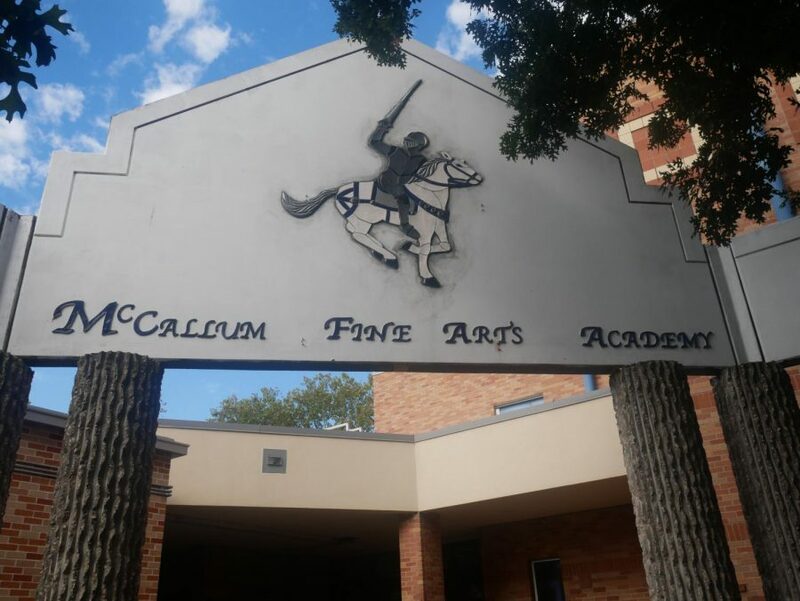 It also shows that McCallum is an artsy school because of the painting. Shutter Speed: 1/2500. Aperture: f/4. ISO: 200. 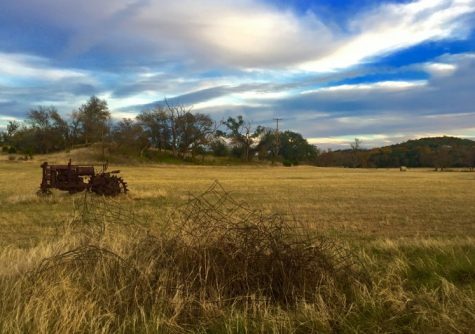 Photo by Kennedy Weatherby. 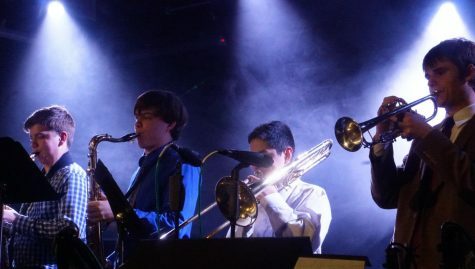 As a Fine Arts Academy, MAC constantly has musicians rehearsing throughout the school, especially in the Fine Arts Building. 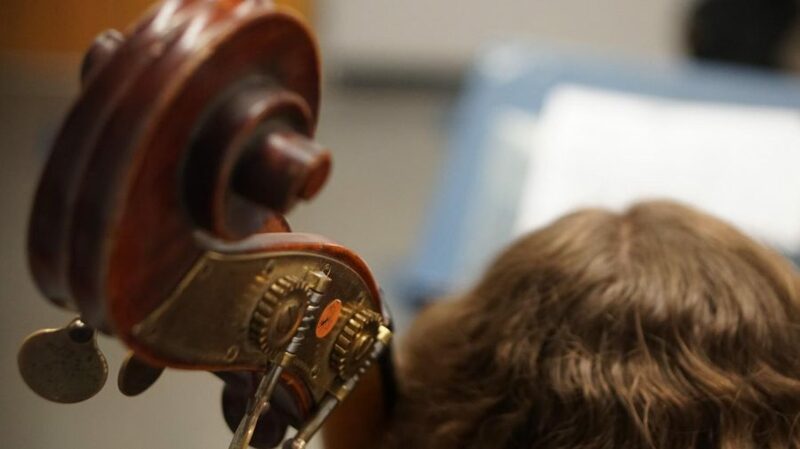 I discovered one group of advanced orchestra students practicing music together, and captured this photo standing on a chair to achieve the angle. I really like how the music stand is blurred in the background and the focal point is the portion of the instrument between the scroll and the tuning pegs — an aspect that is very intricate but is not ordinarily recognized. I think that this is a very accurate representation of the hard work that these students put forth in order to be so successful in the fine arts as well as presenting a unique composition. ISO: 200. Shutter Speed: 1/160. F/Stop: 2. Focal Length: 45. Photo by Madelynn Niles. 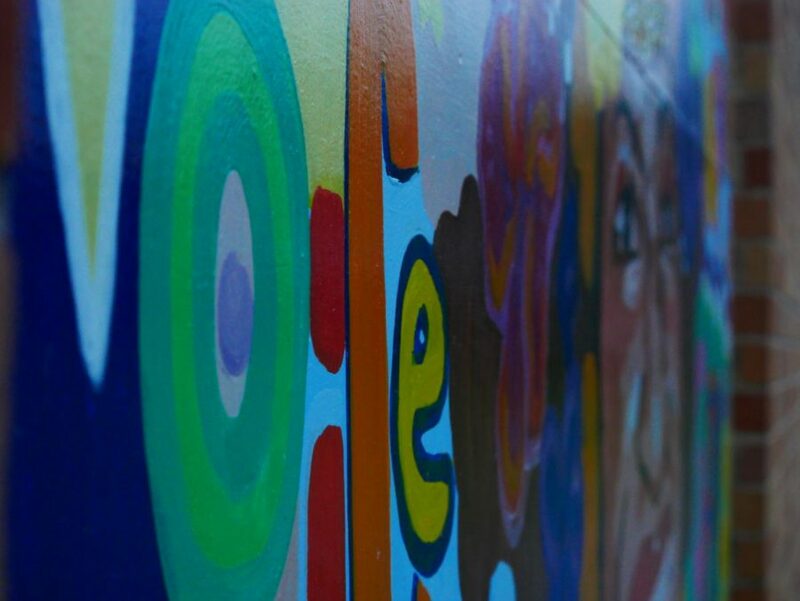 Expressing yourself is such an important aspect of the MAC culture, and I think that this mural on the wall with the word “Voice” painted across it was a really unique way to communicate this. I was also looking to capture the photo from a more unnoticed angle, and paired with the bright colors and a more mysterious lighting, it’s a lot different than some of the other photos I took of just the art pieces by themselves. The arts are what make McCallum so unique, and I tried to incorporate several factors of this into my composition of the photo. ISO: 1600, Shutter Speed: 1/40, F/Stop: 6.3. Focal Length: 45. Photo by Madelynn Niles. This shows the back part of McCallum with the Fieldhouse and the MAC are new theater and art building. I took this photo to show the back of our school. Photo by Tristan Tugmon.